← Week 1 of Production is a Wrap! William Shatner? Bah. 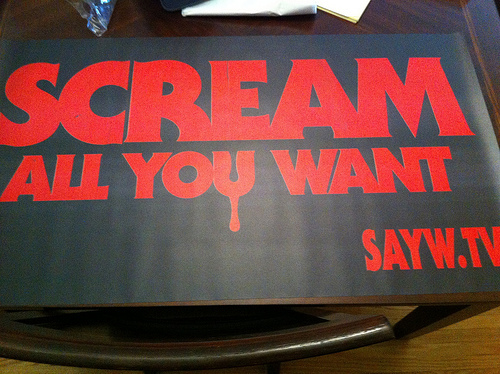 We know why you’re really going to Ottawa Comicon this weekend – to visit the Scream All You Want booth! Ok well maybe, just maybe, you can stop by on your way to go meet Captain Kirk. Why? Well, partly because we’re awesome, and also to meet the directors, Greg Murphy and W. Thomas Leroux, get some swag, and find out more about how we’ve brought this whole production together.